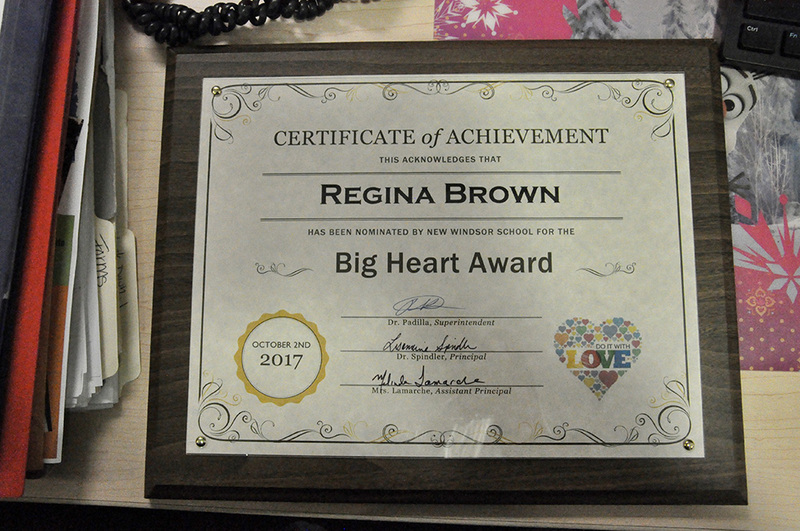 The New Windsor Big Heart Award recipient for this month was Security Guard, Regina Brown. 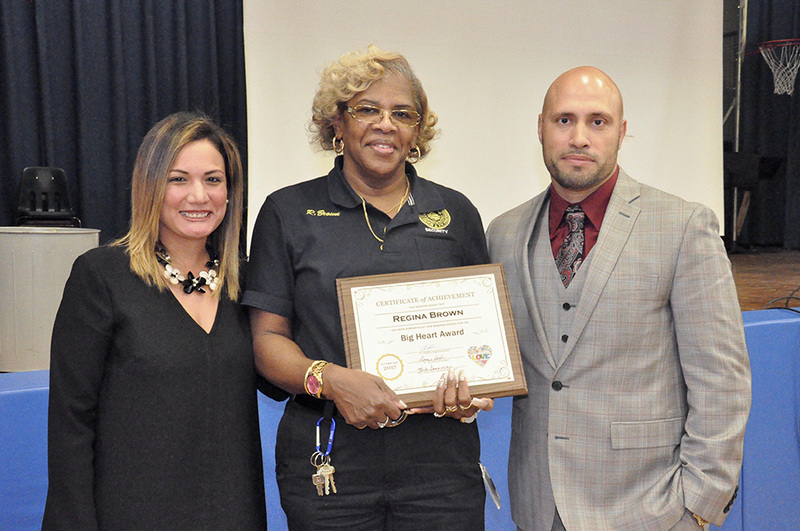 Ms. Brown has been working in the NECSD for several years, having started at the middle schools before finding her true home at New Windsor. 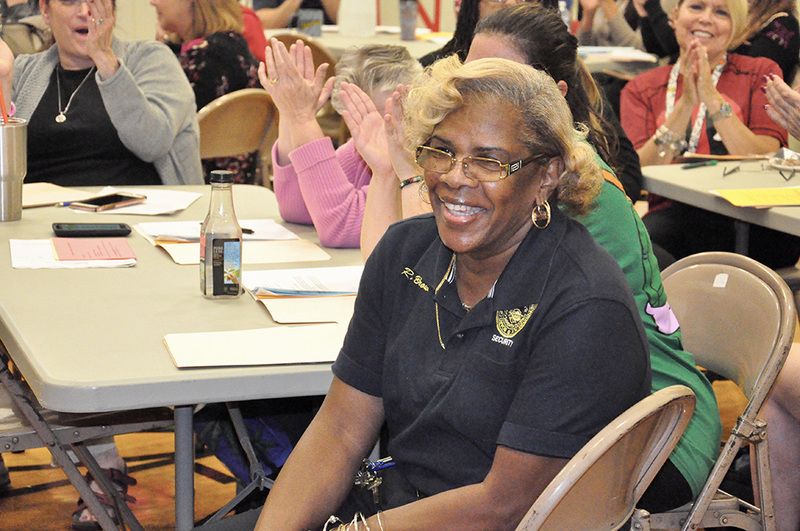 Ms. Brown greets every single student every single morning, knowing each one by their first name. She genuinely cares for every child at New Windsor and always takes the time out of her day to ensure each child is doing alright. 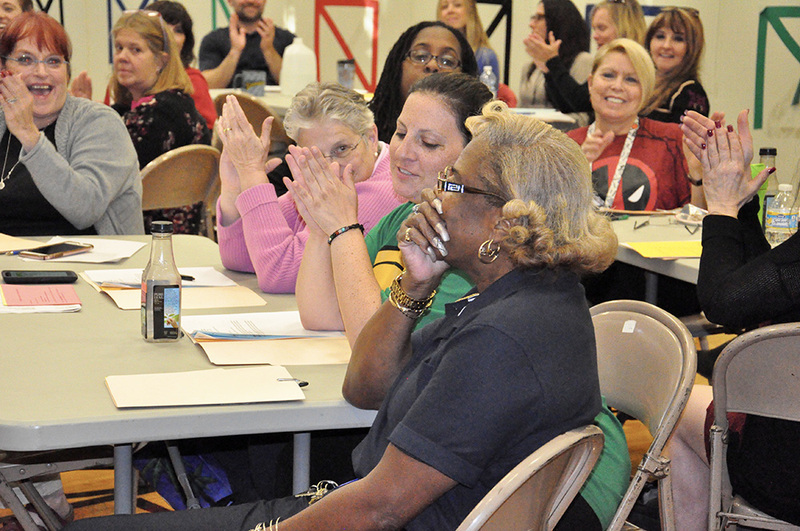 Ms. Brown builds essential relationships with families and parents. She is always willing to lend a helping hand to staff as well, no questions asked. 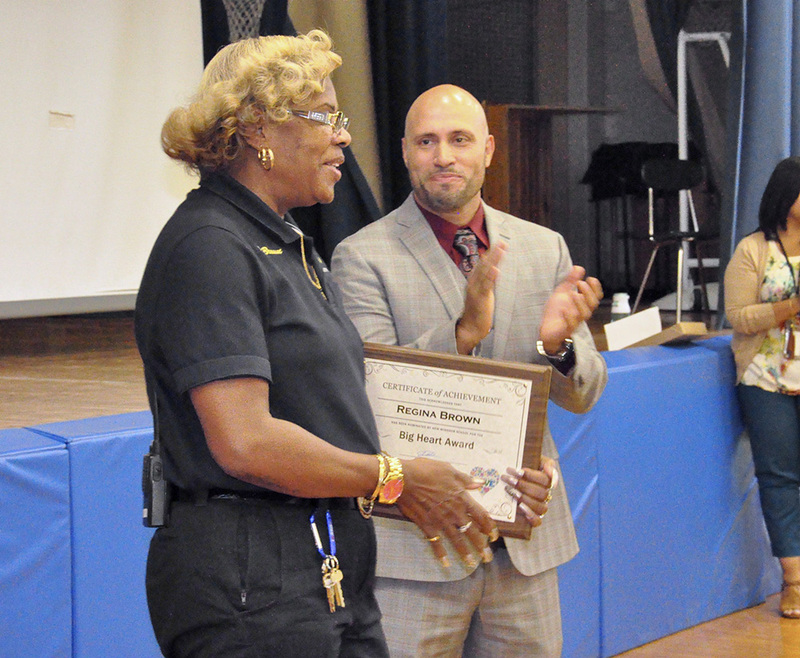 She shows love to her colleagues, students, and the outside community on a daily basis. 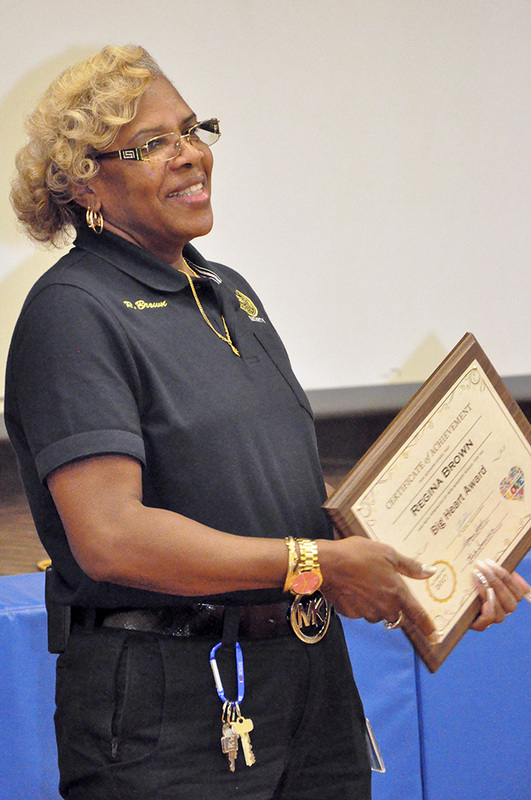 Ms. Brown epitomizes this year’s district mantra of “Do It With Love”, everything Ms. Brown does is with love.